It's summer here in England and, of course, it's raining. We English aren't used to the sun. When it hits 24° (that's 75 to our American readers), the whole country melts to a sticky halt. Our trains stop running (wrong type of sun), and the M25 turns to liquid. Worst of all, normally reserved Englishmen are found wearing shorts, and turning from blotchy white to flakey red with none of that tanned brown nonsense in between. Sometimes, even I have been known to take my jacket off. Luckily for us, those scorching temperatures are rare here. So nothing prepared me for the wall of heat that is Yuma, Arizona, not even stifling Dallas in the summer. There are many ways of defining 'hottest' in America, yet all these lists seem to include Yuma. This is a place where it's been 51° (124) in the shade. That's halfway to boiling, people. I remember stepping out of the car at the motel and worrying that the moisture in my eyeballs would evaporate and make them pop. The heat took my breath away. Just carrying my suitcase to the room made me sick and dizzy. I lay there, hugging the air conditioning unit, gulping cold beer in an attempt to lower my core temperature. But the beer made me hungry, and I knew, at some point, I would have to go outside again. 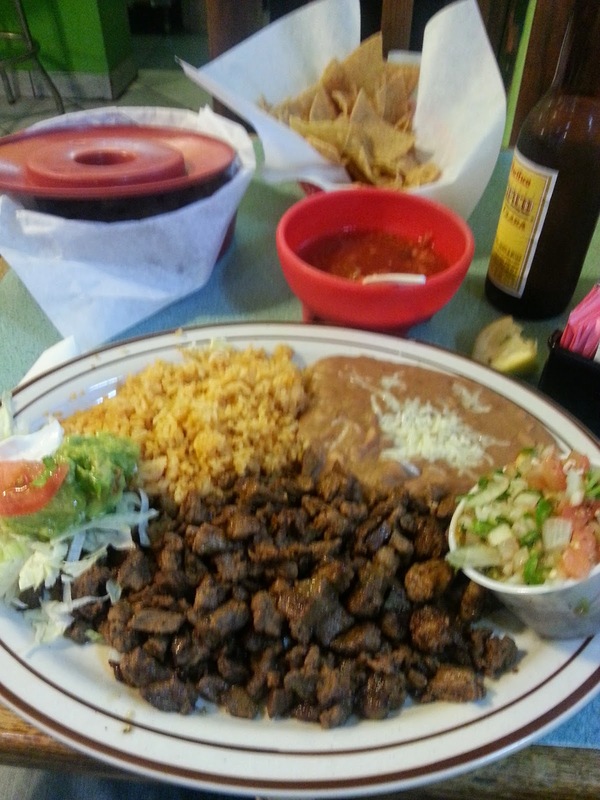 Google said there was a Mexican restaurant on the same block, and Tripadvisor told me it was the "Best Mexican Food in Yuma! ", which to be honest told me very little. It also said it was "Mexican like your mother cooks", which means, for me, that it will come with mashed potato and carrots (there will, I promise, be a rant about Tripadvisor very soon). 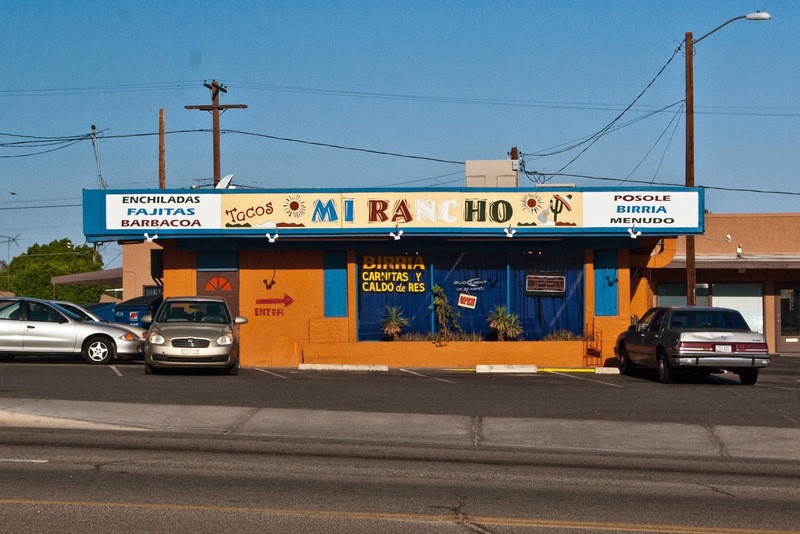 So I did the maths - it's just 387 feet from the Arizona Inn to the Mi Rancho restaurant. Google says I can walk it in just one minute. In that heat, one minute is possibly 57 seconds too long. But hunger can make you do strange things, so one more medicinal beer later, I head out. The heat is intense, oppressive. It's like I'm sucking the air out of our tumble drier. I stumble into the restaurant, hoarsely cry 'one Pacifico please' and collapse in my seat directly under the air conditioning vent. "I had a tasty and authentic (?) Mexican meal. I question 'authentic' - apparently what I'm eating is 'Sonoran'. It's not Tex-Mex, they keep telling me, it's northern Mexican cuisine. Well, I'm struggling to spot the difference. Yellow rice, brown bean sludge, pile of brown stuff ... seems pretty generic Tex-Mex to me"
I think the heat had put me in bad mood that day.